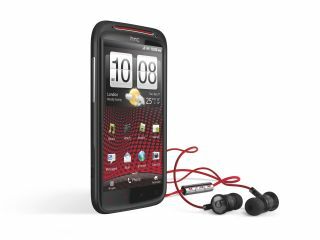 HTC/Beats to acquire Spotify rival MOG? HTC's recently-acquired Beats Audio division may have moved to acquire the MOG music streaming service. A Business Insider source claims that a deal has been reached between the two companies, while GigaOm confirms that terms of the purported agreement were exchanged at the weekend. HTC was rumoured to be plotting its own music streaming service following the $300m Beats buy-out, but the Taiwanese giant could have settled on snapping up an existing player. If the reports turn out to be correct, HTC would certainly be looking to incorporate the streaming service into Beats Audio-enabled handsets like the HTC Rezound. Is MOG HTC's top cat? MOG, while playing second (or third) fiddle to the likes of Spotify and Rdio in the United States in recent times, offers 14 million tracks and similarly-priced ad-free and mobile subscription options. The service, like Spotify, has apps for iPhone and Android and can be accessed through a range of connected devices, as well as through a desktop client. The company refused to comment on the speculation, but told Business Insider it is always prepared to look at 'best for business' options. A spokesperson said: "We're always looking for the best opportunity for our business and shareholders, but don't comment on specifics of those conversations. Nothing to confirm at this time." Back in February it was rumoured the streaming company was looking for a suitor, but those reports were shot down by CEO David Hyman.